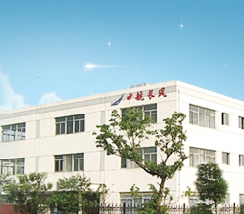 Suzhou ZhongHang Changfeng CNC Technology Co., Ltd. is a joint-stock companies of the China Aviation Industry Corporation, the company engaged in CNC WEDM, EDM machine, EDM, high-speed punching machine, electrochemical deburring machine, electric spark to go off the tap machine manufacturing. Enterprises registered capital of 42 million yuan, the National Management Award units, mechanical and electrical products import and export operation rights. 1996 passed the ISO9001 quality management system certification in 2000 through the ISO14001 environmental management system certification, Green Enterprise title in 2001, Suzhou's only win of the enterprise. Companies adhering to the production of China's aviation industry, the concept of quality management, to explore, innovation, integrity and pragmatic spirit, develop the market and win customers. The company engaged in research and development and production of machinery and electronics products, while the application of aviation high-tech development and production of civilian products. NC WEDM in the development and production for the domestic initiative, also the first to enter one of the products of the international market, domestic CNC machine tools, wire cutting of the winds and licensing is a famous brand, well-known trademarks, with the majority of users reputation.